Fresh off his “Justice for All” campaign tour launch in his hometown of Newark over the weekend, Sen. Cory Booker unveiled a new proposal in the first-in-the-nation caucus state of Iowa aimed at cutting taxes for millions of working-class Americans. The New Jersey Democrat’s “Rise Credit” seeks to dramatically expand the benefits of the Earned Income Tax Credit (EITC), which supports families with children who have lower incomes to help reduce the poverty rate while also providing a work incentive, and put more money in the pockets of working and middle-class families. U.S. 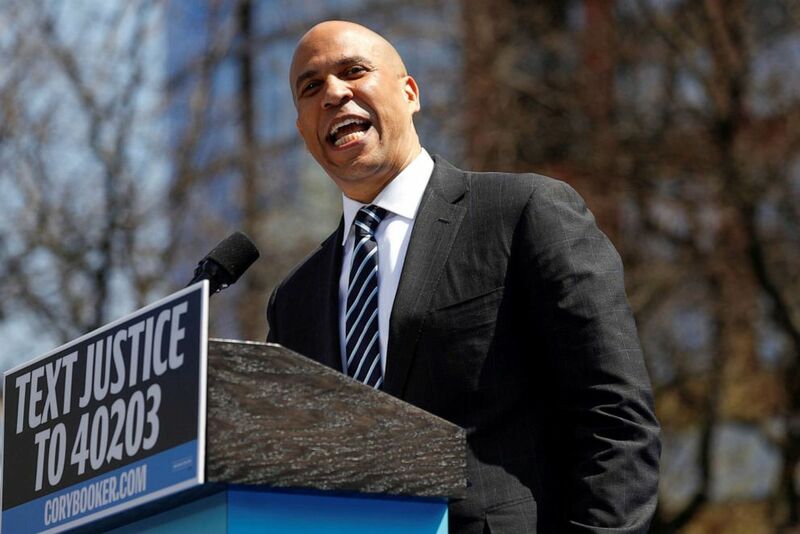 Senator Cory Booker speaks at his Hometown Kickoff event, part of the senator's "Justice for All" tour, the first such national tour of his presidential campaign in Newark, N.J., April 13, 2019. Booker’s plan to readjust the wealth scales and address income inequality backs rhetoric he often touts on the trail and could set him apart from the pack of 2020 candidates by striking a chord with Democrats across the country. “That’s why, when I am president of the United States, we won’t wait,” he continued. The proposal changes some of the qualifications to receive the earned income tax credit, by nearly doubling the income eligibility, from a maximum of just over $54,000 to $90,000 for a married couple, including low-income students and family caregivers, and allowing Americans age 18 and older to be eligible, according to the release. The plan would impact nearly 154 million people, or nearly half of all Americans to help pay for the rising cost of living, and lift 15 million people out of poverty, according to estimates by the nonpartisan Tax Policy Center provided by the campaign. Booker plans to pay for the new proposal by “ending the preferential tax treatment of capital gains investment income that overwhelmingly favors the wealthiest Americans because income from selling stocks and other investments should be taxed the same as income from work,” the release said. Seeking to bring more Americans into the fold to receive the tax credit’s assistance, the plan also calls for increases to the maximum benefits, by about 25 percent -- to about $8,000 per year for a married couple, or more than $650 per month. Booker is the latest 2020 Democratic presidential contender to introduce an ambitious policy proposal aimed at tackling inequality and bolstering the middle class in a cycle dominated by more audacious agendas. 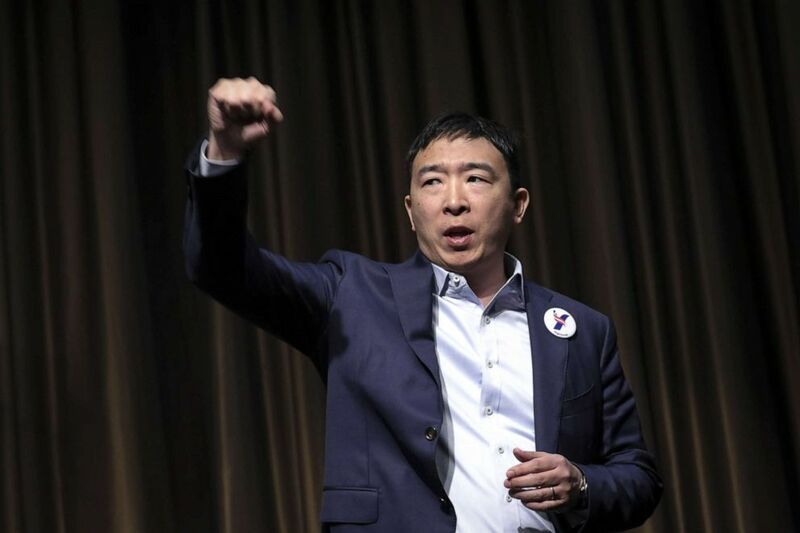 One of the lesser-known White House hopefuls, entrepreneur Andrew Yang, who has long been a competitor since announcing his bid for the Democratic nomination in 2017, is centering his campaign on the idea of a universal basic income. His plan, which he dubbed the “Freedom Dividend,” will provide all Americans 18 and older with $1,000 per month and would be funded by a value-added tax. Entrepreneur and Democratic presidential candidate Andrew Yang exits the stage after speaking at the National Action Network's annual convention, April 3, 2019, in New York. Sen. Kamala Harris, D-Calif., unveiled the “Lift Act” in October to address the rising cost of living with a tax credit up to $6,000 a year, or $500 a month, for middle class and working families. The Tax Policy Center estimates that Harris’ plan would cut taxes by an average of about $3,200 of after-tax income in 2019. Sen. Elizabeth Warren, D-Mass., who has staked her career on addressing income inequality and has outpaced the 2020 field with a steady stream of policy proposals, released a plan to tax the ultra-wealthy, instead of incomes. Her Ultra-Millionaire Tax, or wealth tax, proposes an annual 2 percent tax on a person’s assets above $50 million and 3 percent for assets over $1 billion. The plan would rake in an estimated $2.75 trillion in tax revenue over a ten-year period, according to Warren’s campaign. Sen. Bernie Sanders, I-Vt., another staunch advocate of combating wealth inequality in the country, introduced legislation in the Senate in January to expand the federal estate tax on the wealthy, and includes establishing a new 77 percent tax on estates over $1 billion. “The fairest way to reduce wealth inequality, invest in the disappearing middle class and preserve our democracy is to enact a progressive estate tax on the inherited wealth of multi-millionaires and billionaires,” he wrote on Twitter when he announced his new proposal. The fairest way to reduce wealth inequality, invest in the disappearing middle class and preserve our democracy is to enact a progressive estate tax on the inherited wealth of multi-millionaires and billionaires.